The African Union’s Task Force on Higher Education and Society stated that “higher education is no longer a small enterprise for the elite. Rather, it has become vital to nearly every nation's plans for development”. The goal is a comprehensive revitalization of higher education in Africa, with the emergence of strong and vibrant institutions profoundly engaged in fundamental and development-oriented research, teaching, community outreach and enrichment services to the lower levels of education, and functioning in an environment of academic freedom and institutional autonomy. The German Technical Cooperation (TC) Project: Centre of Excellence for ICT in East Africa (CENIT@EA) contributes effectively to this revitalization process by establishing an advanced Excellence Centre for ICT in East Africa. Besides providing this professional teaching and research environment, developing a Master’s programme in Embedded and Mobile Systems in the Eastern-African region is a key part of the project. It will address the lack of qualified personnel in this field and contribute with the comprehensive qualification of personnel and an Excellence Centre, which offers great expertise in the fields of Embedded and Mobile Systems engineering. The main aim of this project is to strengthen teaching and research in Embedded and Mobile Systems at the East African partner institutions. The Excellence Centre will ensure a high industrial relevance and will therefore strengthen the employability of the graduates. The Excellence Centre will create an environment that helps to reduce brain-drain as it offers new opportunities for graduates in the Eastern African region. This can be achieved through a modern Master’s programme which includes general and specific modules in Embedded and Mobile Systems, as well as practical elements (heterogeneous teaching module options, internships, generic courses for interdisciplinary competencies, etc.). 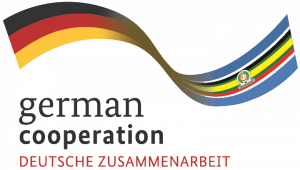 This Master's programme will be established as a multilateral cooperation between the Nelson Mandela African Institution of Science and Technology (NM-AIST) in Arusha, Tanzania, the Carl von Ossietzky University of Oldenburg (UOL), Germany, the German Aerospace Center (DLR), Brunswick, Germany, the Hochschule für Technik und Wirtschaft (HTW), Berlin, Germany, and the Hochschule Mannheim (HSM), Mannheim, Germany. The Centre of Excellence and the Master’s programme will further benefit from several associated partners from the Eastern African Community (EAC). The project mainly aims at graduates with a first academic degree (Bachelor’s, Hon’s or equivalent) in Science, Technology, Engineering and Mathematics (STEM), as well as professionals working in academia, industry, or the public sector. An increase of the enrolment and promotion of women in particular is an additional aim, since they are still underrepresented in STEM-related fields and the ICT sector. The Master’s programme includes a variety of courses that can highly qualify the students for industry and research. The four major topics to be addressed in the programme are: Mobile Computing (i.e., Mobile Application Development, Mobile Commerce, Mobile Communication Technology), Embedded Systems (i.e., Systems Engineering, Microcontrollers, Sensors/Actuators, Assembler Programming), Soft Skills (i.e. Project Management, Presentation, Moderation, Conflict Management, Entrepreneurship, Design Thinking, etc. ), and Basic Skills (i.e., Electrical Engineering, Information Systems Engineering, Operating Systems, E-Business).